Painting in dark pine frame. 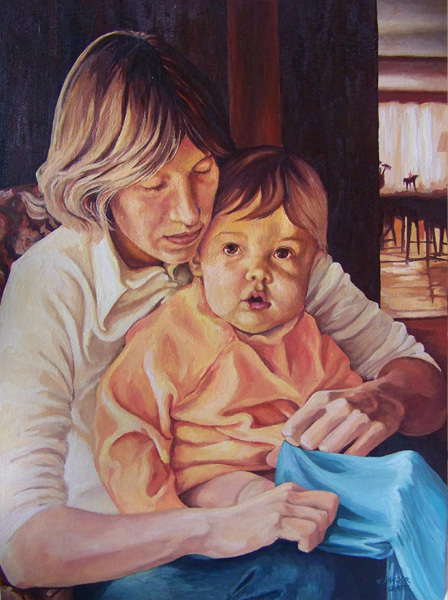 Painting of Baby and Mother. Sharing the precious moments and bond between mother and child from day to day. This canvas wall art is indicative of the type of piece that could be commissioned as a relaxed family portrait for your home office or any other room in the home.